Offering you a complete choice of products which include sewing machine oil, machinery oil, machine tool oil and machine oils. Widely demanded in automobile industry, offered Sewing Machine Oil is used for providing smooth working to the machine parts. We are engaged in providing premium quality oils that are processed by deft experts under the most suitable environment in compliance with set market quality parameters. Also, these oils are also tested by quality associates on numerous parameters in order to ensure its effectiveness. Additionally, clients can avail these oils at economical prices with no hassle. Our organization is very well known in offering Machinery Oil to our clients. Uniquely formulated at our state of art center; Machinery Oil has high viscosity index and is ecofriendly. It is stored in best quality material for purpose of sale. 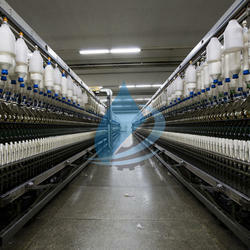 The quality controllers have employed the latest tools and machineries for formulation of our range. We ensure that our range is able to fulfill the expectations of our clients. Viscosity 40 C 6 - 36 Centistokes. Our organization is famous in offering Machine Tool Oil to our clients. It is formulated in unique manner and enhances the performance of machines and spare parts by leaps and bounds. It is quite helpful in excellent electrical conductivity. Uniquely formulated at state of art center using quality ingredients; Machine Tool Oil is able to give optimum performance for lifetime and is customized according to client’s requirements. 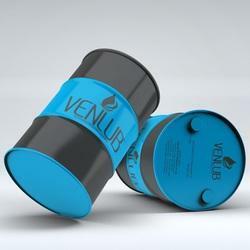 Our organization is famous in offering Machine Oils to our clients. It is formulated in unique manner and enhances the performance of machines and spare parts by leaps and bounds. It is quite helpful in excellent electrical conductivity. 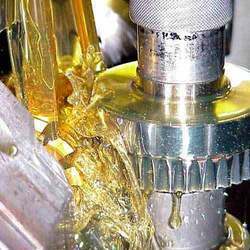 Uniquely formulated at state of art center using quality ingredients; Machine Tool Oil is able to give optimum performance for lifetime and is customized according to client’s requirements.